An international collaboration committed to creating an open educational resource featuring a corpus of digital texts, deep-reading tools, and open-source software. We strive to support and enhance teaching and research. All materials can be downloaded, modified, and redistributed in accordance with all applicable licenses. Read texts from all available partner repositories using the Scaife Viewer, a custom Canonical Text Services (CTS) compliant reading environment. This project aims to collect at least one edition of every Greek work composed between Homer and 250 CE with a focus on texts that do not already exist in other open source environments. In the context of Open Greek & Latin, Perseus will offer open source, CTS versions of all public domain Perseus-published texts for integration and reuse. Polylingual OCR editing. LACE catalogues the on-going campaign to produce high-quality OCR of polytonic, or 'ancient', Greek texts in a HPC environment. Eldarion has provided the web application support to build the Scaife Viewer, a new reading environment for the Open Greek & Latin texts. The CHS provides support for outreach and training through initiatives such as student internships, work on a new commentary environment for close reading. Work at UVA Library includes digitization support, library outreach, and student internships. 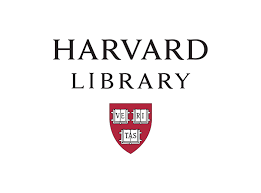 The Harvard Library provides support in collection acquisition and management, including document identification, digitization work, and collection integration. Work at the DH Chair in Leipzig provides the basis of all aspects of work, from document scanning and digitization review, markup, CTS review and presentation, and repository management. Open-access projects produced by partners and colleagues that highlight the OGL workflow and best practices. A digital edition of the Deipnosophists of Athenaeus of Naucratis. The digital edition of the five volumes of the Fragmenta Historicorum Graecorum (FHG). The Homer Multitext project seeks to present the textual transmission of the Iliad and Odyssey in a historical framework. Interested in more information or ways to get involved? Supporting institutions, projects, and partners.